Join the continued adventures of the master thief Garrett as he continues his adventures ten years after the end of the prior game. 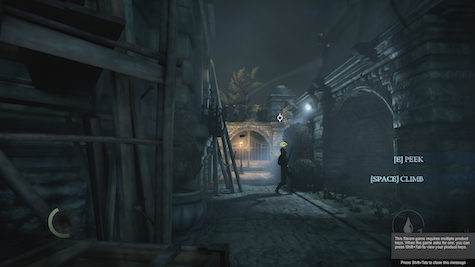 While this is almost into Duke Nukem Forever territory, Thief: Master Thief Edition game was actually worth the wait. 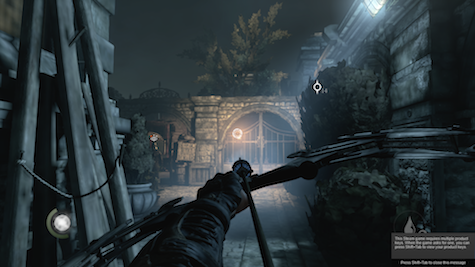 From the start there is the same ambiance that the original games had, with lots of shadows and places to hide. The AI in the game can be annoying at times when it decides that a guard may hear something and stick around and peer into the shadows to try and find you. Fortunately, there are things that can be done about those nosey guards. For the most part you are thief not assassin and do not kill anyone, at least in the early missions. In fact, you are actively upset by one of your compatriots killing off a guard to get past him. Mostly you have distractions and shadow as a defense. You can throw a bottle away from you and trick the guards into looking elsewhere while you sneak past them. 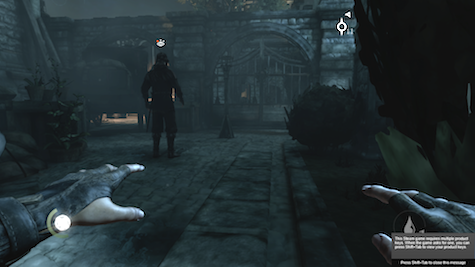 You can also use water arrows to where they douse torches and gaslights to increase the shadows you can sneak through. If people are absolutely refusing to move from their assigned posts you can sneak behind them and smack them with a blackjack, knocking them out but not killing them and then dragging their bodies somewhere dark where they won’t be discovered. Along with the AI guard style puzzles, you have locks and safes to crack and steal the contents from. Some safes are hidden and you need to search paintings for hidden latches. Without a doubt this is a game that needs to be played with headphones and without family members who would get pleasure in sneaking up on you as it does require some concentration to hear trigger sounds and also a dark room so you can see into other shadows and “see” where disarm points for traps are. This is not a casual game that can be picked up and put down willy-nilly, and so I give Thief: Master Thief Edition, an 8 out of 10 MyMac.com review rating.